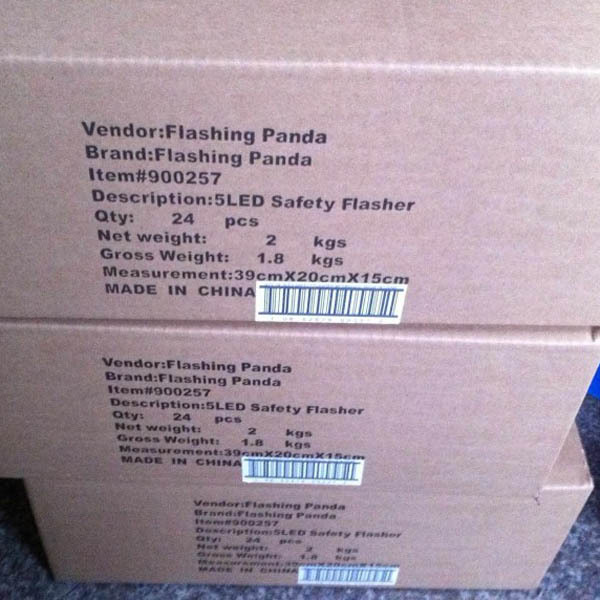 Flashing Pandas safety light offers high quality and performance at an unbelievably low cost. 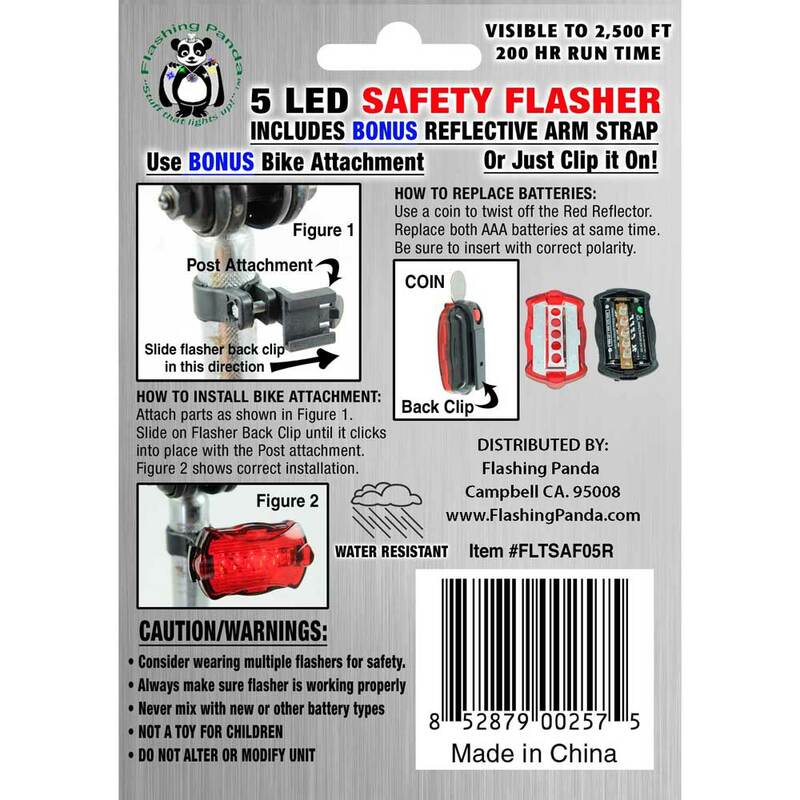 Use it on your bike, wear it on your belt like a pager or on your arm (with the included arm band) while jogging or walking. Clip it to the stroller, or to your dog's collar. Can also be used as a warning light on the door, etc. Comes with a pager clip and bike quick release attachment. Uses 2 x AAA batteries (included). Features 5 red LED lights and 6 modes of operation. The unit is water-resistant. 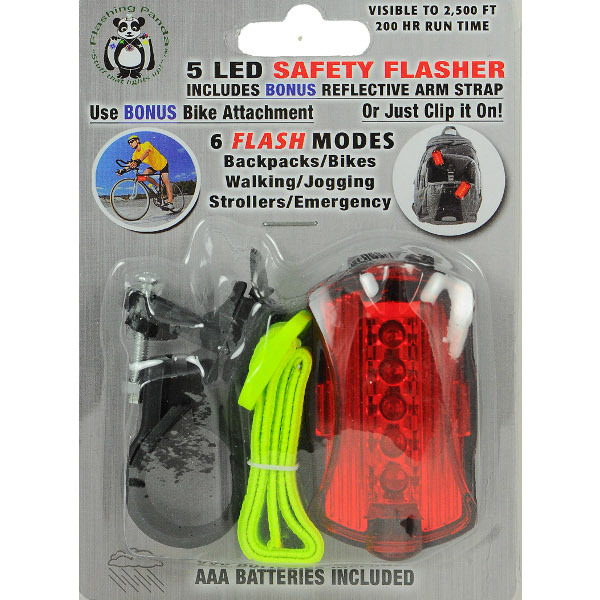 Uses: Jogging; Walking; Bike safety tail light; Stroller safety light; Stationary safety light: canopies, tents, pathways, etc. Bicycle clamp - The unit clips on and off easily. 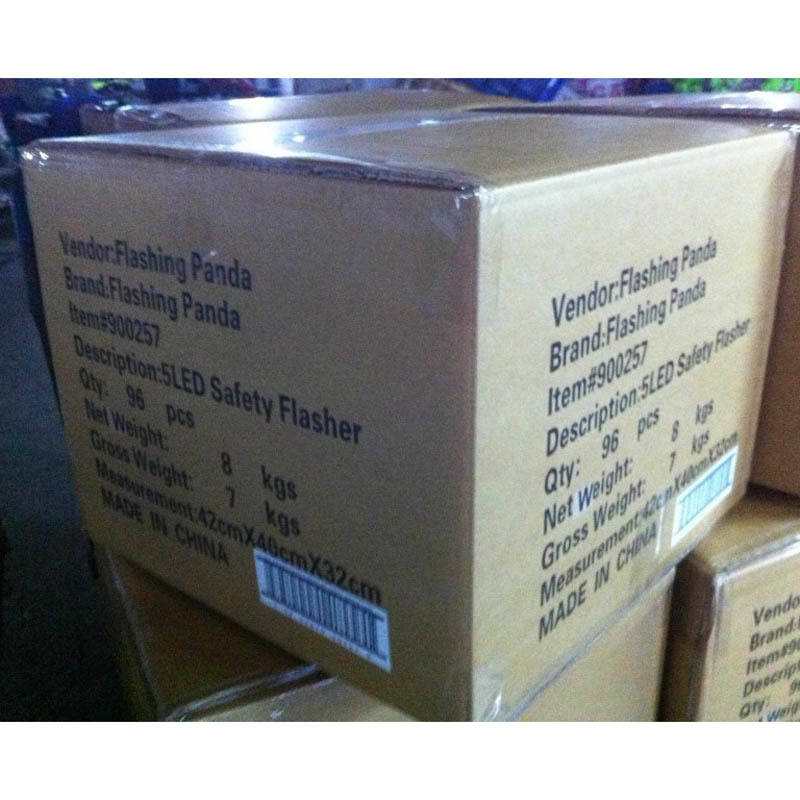 Bright LED array provides very long battery burn time - over 200 hours! LED Bulbs need no replacing - rated for 100,000 hours lifecycle! Battery life: over 200 hours. Comment on this item in our Product Updates Blog..